St Kitts and Nevis is a federal state located in the Caribbean Sea. 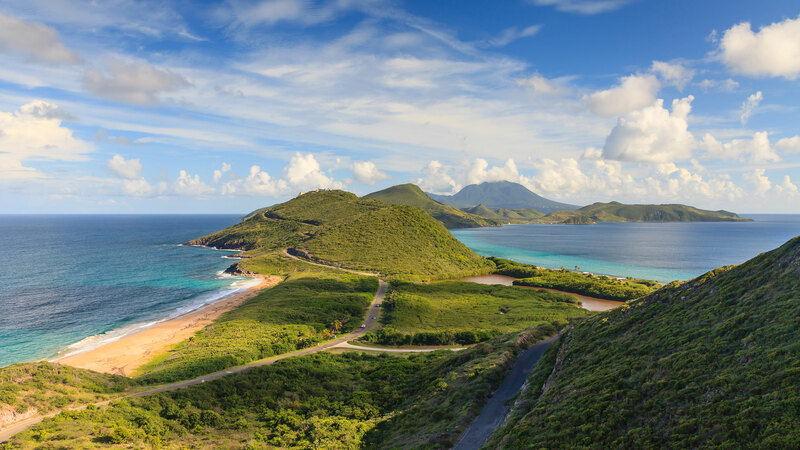 Early colonisation (Christopher Columbus named the island of St Kitts after his patron saint) resulted in the country being referred to as the ‘Mother Colony of the West Indies.’ Today, the nation is highly focused on tourism and is championing luxury resort development. St Kitts and Nevis also has a strong reputation for its international financial services, particularly with respect to the establishment of offshore LLCs. Strong fiscal responsibility and debt management has seen St Kitts and Nevis emerge as the country with the lowest debt-to-GDP ratio out of all the members of the Eastern Caribbean Currency Union. National anthem: O Land of Beauty! As home to the world’s most longstanding economic citizenship programme, the Federation of St Kitts and Nevis has a 34-year history of leading the field of economic citizenship. Indeed, the St Kitts and Nevis Citizenship by Investment Programme has earned multiple awards and a reputation as the ‘platinum standard’ of citizenship by investment. To qualify for economic citizenship, applicants are invited to invest in either the Sustainable Growth Fund (SGF), the Sugar Industry Diversification Foundation (SIDF), or pre-authorised real estate. Due diligence fees apply under all options. The SGF is a new and permanent feature of the Programme, having been established by regulation in March 2018. The SGF substituted the Federation’s Hurricane Relief Fund (HRF), a temporary citizenship route that came into existence to tackle damage caused by the September 2017 hurricanes that struck the Caribbean. Under the SGF, a single applicant must make a minimum donation of US$150,000. SIDF applicants who prefer to pursue St Kitts and Nevis’ traditional route to economic citizenship can continue to contribute a non-refundable sum of US$250,000. Contributions are redirected to projects that facilitate the country’s transition from an economy specialised in sugar production, to one that offers a variety of services and products. There are two branches to St Kitts and Nevis’ real estate option. Under the first branch, the applicant must buy property worth at least US$400,000, and keep it for five years. Under the second branch, the applicant must make a joint investment with another applicant, with each investment worth at least US$200,000. The investment must be retained for a period of seven years and is exempted from stamp duty. A US$35,000 real estate Government fee is applicable for single applicants irrespective of the branch they select. The Citizenship by Investment Unit (CIU), which processes all applications for citizenship by investment, normally issues approvals or denials within two months. Because of the extraordinary success of the HRF however, the CIU is currently registering delays of around six months. These are expected to be short-lived, and unlikely to characterise the Programme in the long run. A VIP Accelerated Application Process (AAP), available at a premium fee, allows applicants to receive their passport within 60 days of submitting their application. There is no interview, language, education, or business requirement for any of the options chosen. Travel to the twin-islands is not obligatory, and no minimum residence stays apply either prior to or after citizenship is obtained. Benefits of citizenship of St Kitts and Nevis include visa-free travel to a growing number of worldwide destinations – now the highest of any citizenship by investment country in the Caribbean. Citizens are allowed to hold multiple nationalities.